When shopping for a used car, you probably hope to get the lowest price available without having the pressure from salespeople trying to push you to make a purchase. You can find all of that and more when you start your car-buying process at TRUECar. Using their website to buy a used car is easy. You can start either by choosing the brand you prefer, or by clicking on the "Shop Used" blue button on the page. Once you've entered the make and model you want, along with your zip code, you'll be taken to a results page showing all of the matches in your local area. Those results can be further sorted by price, distance, mileage or year. We love that, right from that list, TRUECar makes it easy to see which vehicles are most competitively priced - look for the words "Great Price" or "Good Price", along with a dollar amount underneath the price that says how far below market the vehicle's price actually is. Also, you can easily access a vehicle's history by clicking on the "Free Carfax Report", which will tell you if the pre-owned car has been in an accident or has had any other type of damage, along with its ownership history. When you click on a particular vehicle for more information, you can opt to email the dealer to get more information, schedule a test drive, and receive a finalized price quote. Don't forget to scroll down to the bottom of the page: there you'll find the TRUECar Market Price Analysis graph, showing you the average paid for similar vehicles in your local area and helping you to determine if your chosen car is priced well. If at any point you need help, check the bottom right-hand corner of the screen to see if a TRUECar representative is available via online chat. Or, you can call their toll-free number as well. TRUECar also impressed us with their requirements for dealer certification. All of their 11,000+ certified dealers - just shy of 20% of all franchised dealers in the US - have affirmed their commitment to transparency, truth, and fairness in their business practices. Additionally, TRUECar partners with AAA, American Express, USAA, and more; during the process of filling out any customer information, be sure to indicate if you are a customer of one of their partners to see if you qualify for additional discounts, thought they may apply solely to new car purchases. 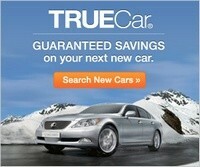 Finally, if you are a car buff in general, be sure to check out TRUECar's blogs. For instance, their Insights blog discusses current trends in auto sales, shopping trends of Millennials compared with Baby Boomers, and much more. Those links are almost hidden away at the bottom of the main TRUECar site. TRUECar offers everything used car shoppers could want when trying to find their next vehicle: the ability to see a wide range of cars in their local area without having to provide contact information first, a solid reputation demonstrated by their partnerships with household-name companies and an "A+" rating with the Better Business Bureau, and a network of dealers that strive to provide a trustworthy shopping experience. We give TRUECar our top rating and recommend that you consider their services as you buy your next used car. With a name like Cars, it's no surprise that they are a solid resource when looking to buy a used vehicle. Although they do not offer any guaranteed pricing or discounts when using their service, what we love about their website is the anonymity they give to people using their site. Many used car websites require you to enter your contact information in order to see detailed pricing on the vehicles that interest you - and we all know how that winds up with phone calls and emails from eager salespeople who want to convince you not to miss out on a hot deal, "available today only!" The Cars site asks you to enter the make and model of the pre-owned vehicle you want, along with a zip code and a desired search radius - and that's all! Your results page will then show you exactly what is in inventory within the distance you specified. You can sort by price, year, distance, photos, and date listed; also, you can filter by several parameters such as exterior color, trim, drivetrain, and more. From there, it's completely up to you: you can see a vehicle's details, including the VIN number and how many people have viewed that particular car in the last 30 days, or you can request a free CARFAX report detailing the vehicle's history. If you decide you'd like to contact the dealer, click on the green "Check Availability" button and enter your name, email and ZIP code (phone number is optional) to be connected with the dealership. Be sure to scroll down to the bottom of the vehicle listing: there you'll find reviews of not only the car but of the dealer itself, along with links to further information about the make and model year of the used car you're considering. You may also be interested in the News section at the top of the Cars website. There you can find the latest car news and reviews, get information about top auto shows, and even get help for first-time car buyers if you need it. We also like that Cars has a resource for Service & Repair that includes safety and recall notices, Car Maintenance 101, and links for finding a service center if your pre-owned car needs an oil change or other work. We recommend that you check out what Cars has to offer when you're ready to buy a new car. With an "A+" rating as an accredited business with the Better Business Bureau, helpful resources for car buyers, and a no-contact-required method of browsing vehicles available nearby, Cars easily earns a high rating among used car websites. CarsDirect is quickly becoming a well-known name in the used car marketplace. Finding your next pre-owned vehicle using their website is a relatively smooth process. From the main Used Car page, you can either enter your preferred make and model along with your zip code; or you can shop according to body style or price. Once you've selected your search criteria, you'll be taken to a list of results in your area (the default distance is 50 miles). You can sort that list according to price, mileage, distance or year, and the left-hand navigation lets you further filter those results by color, drive type, and more. When you select a vehicle that interests you, you'll be taken to a page where you can see any available photos, get a free CARFAX record check, get a detailed list of all the car's features, and see any additional comments provided by the seller. Then, when you're ready, you can use either the provided contact form or the dealership's details to reach out and find out if the vehicle is still available or ask any other questions you may have. Two features we felt were missing from the CarsDirect site, compared with other used car websites in our review, were pricing discounts/incentives and a way to know if the dealer price is a good deal. CarsDirect doesn't give the shopper any way of knowing of the given price is above average for the area and for the condition of the vehicle, and there are no perks offered for using the site to find a pre-owned vehicle. Also, in our opinion, CarsDirect has mixed results with respect to their reputation. The site has been rated as the #1 site for buying new cars online by PC World, Time, and Forbes, which is a good sign. We also found customer reviews praising the quality of the information offered on the CarsDirect site, which they said helped them to get the best price at their local dealer. On the other hand, CarsDirect's parent company (Internet Brands, Inc.) had no rating or accreditation with the Better Business Bureau at the time of our review. This definitely doesn't mean that CarsDirect isn't trustworthy, but there are many competitors that have both a good rating and an accreditation with the BBB. CarsDirect does earn points for the research information offered on the site. One of the tools mentioned most often by happy customers is the ability to compare cars. This allows you to determine which vehicle provides the most value for your money with respect to features, safety ratings, and other characteristics. Particularly if you're not exactly sure which used car you plan to buy, this can help you make a well-informed decision. Edmunds began as a newsstand publication in the 1960s and has come to be a household name when it comes to all things automotive. If you're looking to buy a used car, the Edmunds site might help you get a great price. From the Used Cars page, select the make and model you're looking for and then enter your zip code. (Or, if you prefer to shop by car type, click on "Shop by type".) From there, you'll be taken to a results page that shows all of the available pre-owned inventory in your area; you can sort those results by distance from your location, lowest price, or lowest mileage. On the left-hand side of the page, you can also filter your results by price range, year, or mileage; click on the "Advanced Search" link for more options. When you've selected a vehicle that interests you, you'll see more details about the car and dealership, along with links to get a free CARFAX vehicle history report or an insurance agent. We also saw that certain dealers participate in a special offer program called "Used + Perks". While the offers vary, many of them include benefits like a $100 gas card. Unfortunately, that was as far as we were able to go. When we went to enter our name, email address, and phone number to get the special offer and its details, we got an error message asking for a valid email address. We tried several accounts (Yahoo, Gmail, etc.) but had the same issue every time. As a customer, you can still contact the dealership directly if you find a vehicle that interests you, but it looks like you'd probably lose the Used + Perks offer if you can't get the site to accept your email address. That was hugely disappointing, especially since Edmunds offers several resources that other new car sites lack. We especially like their True Cost to Own calculator, which can be found under the headings for both New and Used Cars. This gives you an estimate for what to expect over five years with respect to depreciation, taxes/fees, financing charges, fuel, insurance, maintenance, and repairs. Edmunds also has a fantastic wealth of additional resources, from Tips and Advice to Car Videos and Forums for true aficionados. All of those can be found in the Car Research section in the upper right-hand corner of the site. We have hopes that, in the near future, the site difficulties we experienced will be resolved and we'll be able to move them much higher in our rankings, because of Edmunds' great site features and solid reputation in the automotive community. Automotive's website declares that "buying smart starts here", and the amount of information they offer car shoppers is definitely evidence of that statement. From the very first page, you can start your car research with news, reviews, and buying guides. To begin the process of finding a pre-owned car, go to the Used Cars section of the website. You can then enter your preferred make and model, along with your zip code, and there's an optional checkbox if you'd like to see certified cars only. Alternately, you can search used cars by state, by manufacturer, category, or year. Since most shoppers tend to have an idea of the make and model they want, we went that route in our review as well. From there, you'll be taken to a results page listing all of the vehicles that meet your criteria. You can sort that list by distance, price, year, or mileage, and the options on the left-hand side allow you to further filter the results by year, trim, price range, mileage, distance from your location, color, and more. We found the process of looking through specific results to be a little awkward. When you click on a vehicle that interests you, you can see a few more details including the dealer, the VIN and a link to a free CARFAX vehicle history report, and additional photos. But, if you continue to scroll down the page, it blends immediately into the next vehicle in the list while also scrolling the results list across the top of the page. There was also very little information about the dealer offering each vehicle -no dealership name, website or other contact information, unless it happened to be included in the photos of the vehicle itself - and the only way to find out more is to fill out the contact form on the right-hand side of the page. On the other hand, we like that Automotive gives car shoppers a wide variety of tools to choose from. In the navigation at the top of the page, be sure to check out the Features & Advice section, along with Tools and Tips. There you'll find help with auto financing, tips for insurance, Editor's Picks and car comparisons, and much more.